You might have wondered what we mean by “real” outdoor kitchens. 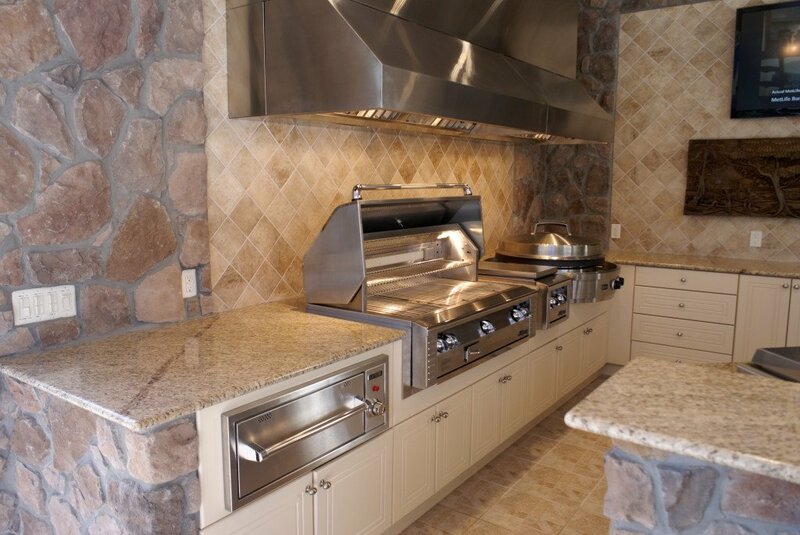 A Soleic outdoor kitchen features premium, easy-to-clean weatherproof outdoor cabinetry. This fine cabinetry has the look of the best indoor cabinetry, but they are engineered for direct exposure to outdoor elements. This means you can have a REAL outdoor kitchen with the features you’d demand in an indoor kitchen. The structure of the outdoor kitchen is created with weatherproof outdoor cabinetry. 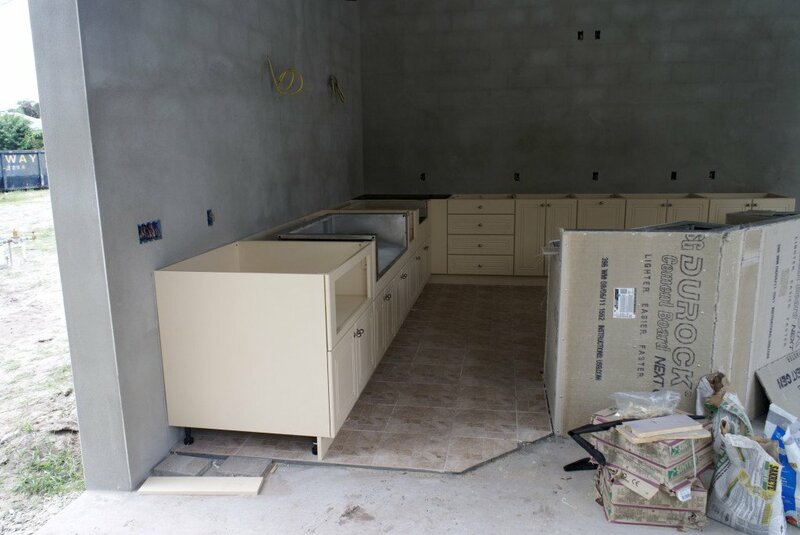 After the cabinets are installed, grills, appliances, countertops and other finishing details are added, creating a complete & functional outdoor kitchen.